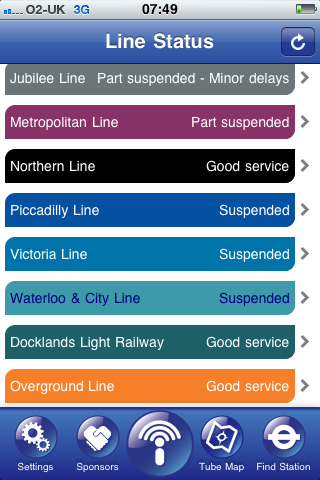 The anticipated chaos of today's tube strike has descended on the capital. I started my journey early this morning as I was pretty certain that would have to find an alternative route. The easiest thing to do would probably have been to take to the main line trains... but I figured that is what everyone else would be doing and they would be mobbed... added to which I still have to get from Charring Cross to the office which is probably not the best spot to try and pick up a bus. This leaves two alternatives; get the bus all the way (which involves three different buses door to door) or get the boat. 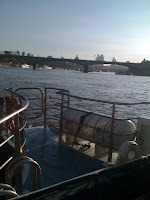 It was a lovely sunny morning so I opted for a trip up the Thames (thanks to Rich who prodded me in the right direction!). The buses in SE7 were quite quiet. North Greenwich was quiet too - the station there is actually closed. 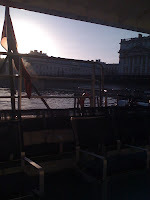 The boat service at North Greenwich was also quiet (it is a bit of a trek from the bus station). 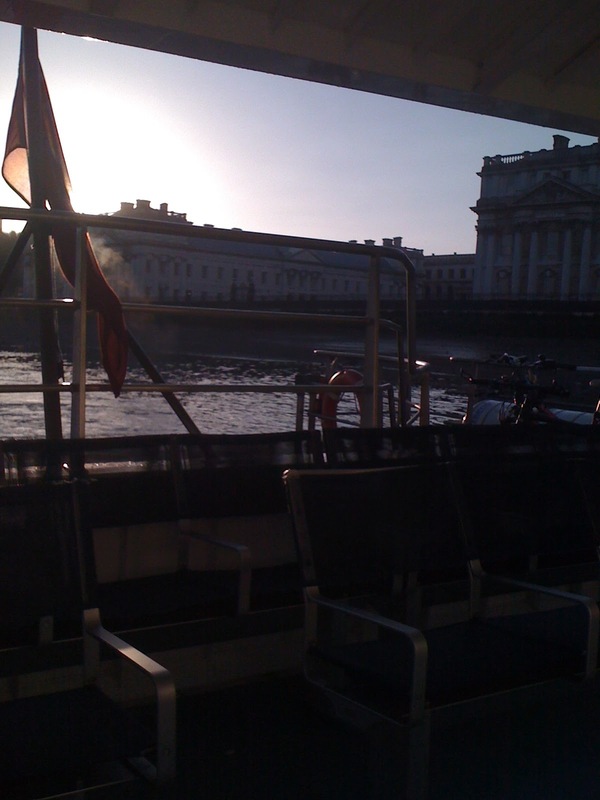 The Thames Clipper is a great way to travel. A little expensive - but on a sunny morning like today it was great. No overcrowding as standing isn't allowed. You can surf the web or whatever with your phone all the way and even get a cup of coffee. There is a bit of a petrol smell if you sit out on the rear deck, but it is a small price to pay for such a relaxed commute. 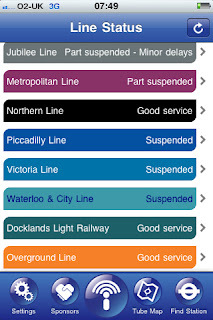 I sat and kept track of what was going on with the strike on Twitter and the hash-tag 'tubestrike'. 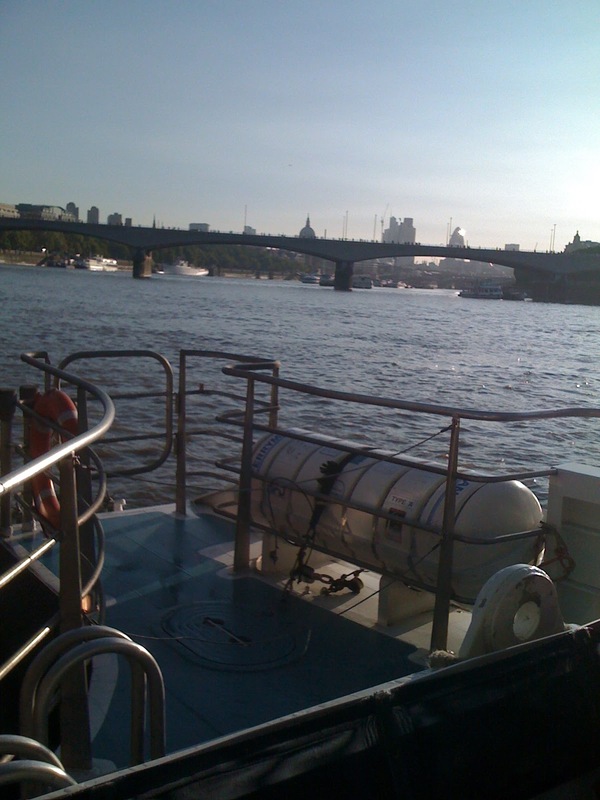 The only draw back of the boat is that it leaves you at Embankment which is still a bit of a trek to the office - I really wish the commuter boats would go to Westminster! 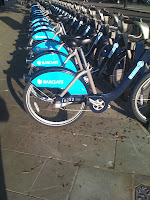 I walked up Northumberland Avenue, and a lot of the 'Boris Bikes' were in their stands - journeys completed, I guess. 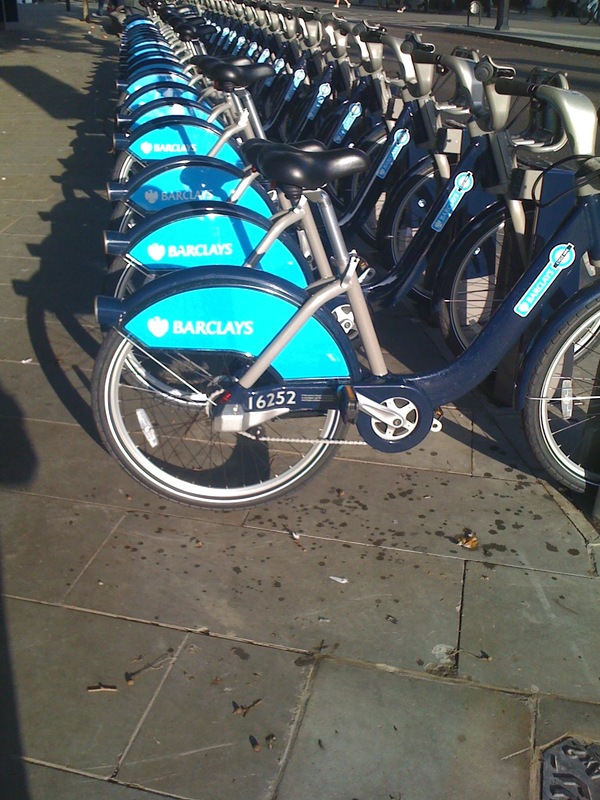 This was confirmed later when I encountered another full bike stand with several annoyed looking cyclists unable to dock their bikes and checking the status of other local docking points on the screen - all of which were also full. I wonder if someone who has trouble balancing on two legs would manage on two wheels?! I saw more regular cyclists than I did people on the hire bikes - but Embankment/Trafalgar Square always seems full of cyclists at that time of day. As I made my way through Trafalgar Square I saw a number 9 (which would take me to Piccadilly and the end of my journey) which was absolutely heaving. I resigned myself to walking the rest of the way - to my delight the full bus was followed by another number 9 - totally empty. What luck! All in all I only added about a quarter of an hour to my overall journey and felt a lot more relaxed because of it. The real challenge, of course, is getting home again when the concentration of journeys start in one place instead of across the city. That I am not looking forward to at all. Best not to bother, really.